Our Plumbing Service in San Tan Valley, AZ is worth your time and money. This is not because of only what they can do but also because of the value they can add to your home or office. You will notice that water damage often comes along with health and financial impacts. That is, you may have a mold infested home or office after a water damage problem. What may then follow could be a bout of respiratory complications associated with the mold infestation which came about primarily because of the water damage and other plumbing problems. Your best bet is to therefore call a water damage restoration company you can trust and have all water damage issues fixed. Do this as a preventive measure or as part of housekeeping. This is one of the best preventive measures you can take into account as a home or business owner. You only have to do it once a year, so you do not have to worry about the financial ramifications involved. The scheduled maintenance will reveal teething problems that can easily result to massive water damage and flooding problems. This will also help you to save money. So anytime you notice a problem, have it fixed before it worsens. Be particularly keen on water heaters. Consider water heater repair and water heater replacement. 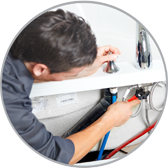 With our Plumbing Service in San Tan Valley, AZ to rely on, such glitches can be fixed on time. In short, go for nothing else other than value for your money anytime you need help with your home.